The WZ-9B is a Chinese built version of the Dauphin. I modified this one back to a Dauphin and finished it in US Coast Guard colors. There are areas that still need some more touch up but you get the basic idea. 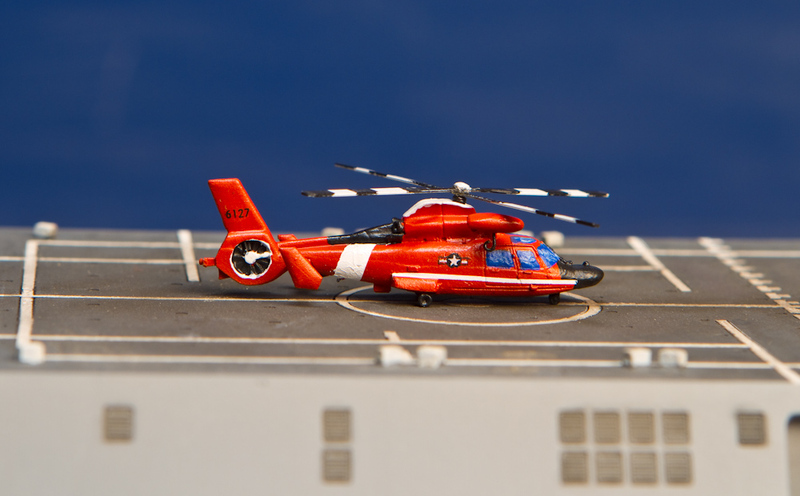 This entry was posted in Modified Miniatures, US Aircraft and tagged China, Coast Guard, Dauphin, Helicopter, USGG, WZ-9B by Allen. Bookmark the permalink.